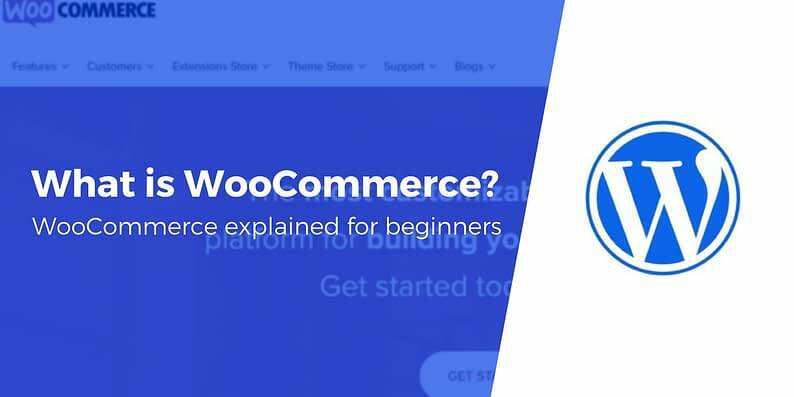 Wondering “what is WooCommerce?” and whether it’s something you should use? WooCommerce helps you build an eCommerce store using WordPress. WordPress is like your website’s operating system, and WordPress is also by far the most popular way to make a website. WooCommerce takes that basic WordPress operating system and turns it into a fully-functioning eCommerce store. 🚄 Shortcut: Want to make an eCommerce store with WooCommerce? Read this. Why is WooCommerce so popular? 💸 WooCommerce is free, and the underlying WordPress software is also free. 👋 WooCommerce is open source. Anyone can go in and audit, modify, or extend the code. 👐 WooCommerce is regular person friendly. You don’t need to be an expert developer to launch a store. 🔌 WooCommerce is extensible. Using something called “plugins”, you can add all kinds of new functionality to your store without the need for any technical knowledge. 📱 WooCommerce works on all devices. More and more people shop on smartphones, and WooCommerce is ready to serve those people. 🎨 WooCommerce looks how you want it to. Using something called “themes”, you can control exactly how your store looks without the need for any technical knowledge. 🔒 WooCommerce is secure. Beyond being open source, WooCommerce comes from Automattic, a billion dollar company with the resources to secure your store. So what is WooCommerce? It’s your way to build a secure, flexible eCommerce store using the most popular tool to make a website (that’s WordPress!). What can you sell with WooCommerce? The most popular use is to sell physical products, like t-shirts, jewelry…anything. These are the types of stores you’re familiar with – think Amazon. But you can also use WooCommerce to sell digital products, or charge for appointments, reservations, services, etc. For example, if you had a vacation rental by the beach, you could use WooCommerce to let people reserve your house and pay the booking fee. Basically, if you want to sell “something” and accept payment for it, WooCommerce can help you do it. What are some examples of WooCommerce stores? To help answer the question of what is WooCommerce, let’s take a look at some real examples of eCommerce stores that are powered by WooCommerce. Blue Star Coffee Roasters uses WooCommerce to sell coffee and accessories direct to consumers. 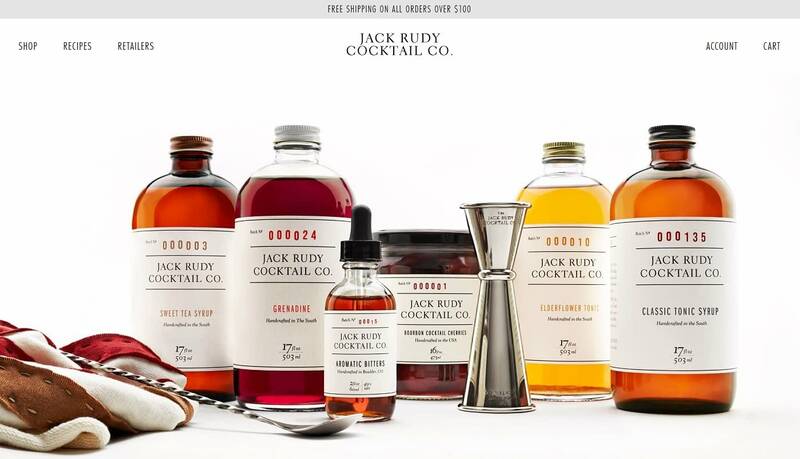 Jack Rudy Cocktail Co sells cocktail mixers using WooCommerce. 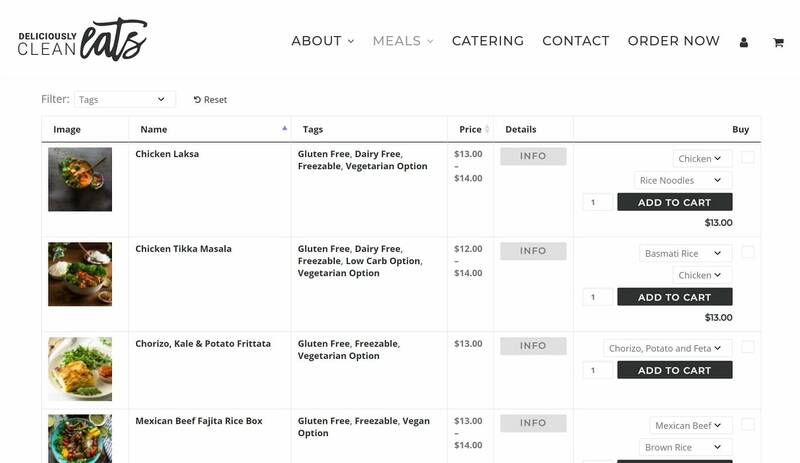 Here’s a different look at how you can use WooCommerce – Deliciously Clean Eats uses it to create a restaurant ordering menu where shoppers can get meals delivered. What is WooCommerce and how do you use it? In slightly more technical terms, WooCommerce is a plugin for WordPress. So if you want to create your own eCommerce store with WooCommerce, you’ll first need to install and set up WordPress. WordPress hosting is what powers your store and makes it accessible to the world and your domain name is the permanent address of your store on the Internet (ours is themeisle.com). WordPress hosting can cost anywhere from $10 per month for a small store to $50+ per month for a large store, and a domain name will typically only run you about $10 per year. To get you started, we’ve collected some of the best WooCommerce hosting providers, all of which can help you purchase your domain name, as well. Once you have hosting, you’ll need to install the basic WordPress software. Most hosts make it easy to install WordPress, and some will even install it for you. At this point, you’ll have a working, albeit basic, WordPress site. You’ve basically built a blank canvas for your website. Now, you’re going to get out the paintbrushes and make it into exactly what you want. First on your list – install the WooCommerce plugin and run through its setup wizard to configure its basics. Once you’ve done that, you’ll officially have a working eCommerce store. Now for the fun part – making things your own. 🔌 Plugins – these extend your store with new functionality (just like the WooCommerce plugin extends the core WordPress software with eCommerce functionality). 🎨 Themes – these let you control how your store looks to visitors. Think of them kind of like changing your store’s clothing – you can easily switch outfits until you find one you like. You can find lots of great free and paid WooCommerce themes. WooCommerce is a free tool that helps you build an eCommerce store. What’s more, it’s powered by the open source WordPress software, which is the most popular way to build a website in existence. Beyond offering you a secure, functional way to create a store, WooCommerce is also easy to extend, which lets you customize your store to meet your needs. For a deeper look, check out our guide on how to set up WooCommerce 👈. And if you’d like to see how WooCommerce compares to another popular eCommerce tool, check out our WooCommerce vs Shopify comparison. Still confused by the question of “what is WooCommerce?” Ask away in the comments and we’ll try to help out.